Description: Our brand-new product, the photo booth of the future, called Novum Augmented Reality Photo Booth orchestrates the attention of your customers, puts a smile on their faces and encourages them to act while they are in your store, in your lobby or at your event. Research shows that customers in a good mood buy more and stay loyal to your brand and Novum helps you to achieve that. 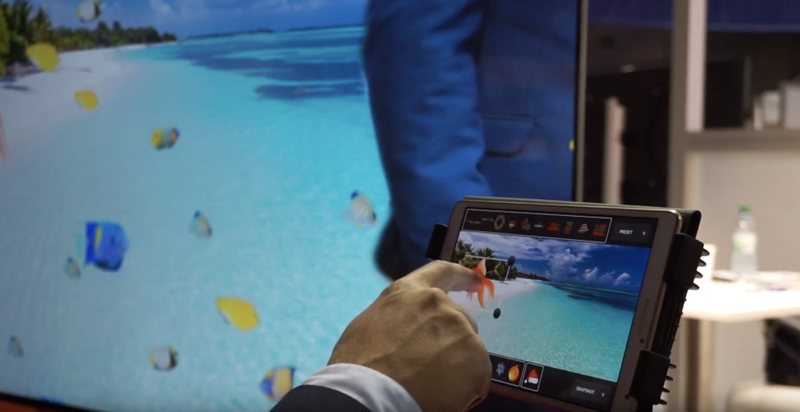 The Novum AR Experience augments your customer’s image with virtual 3D props over a large-screen display. Your customer stands in front of our solution and watches himself appear on a large screen. Instantly, predefined props and special effects (like fire, water, smoke, ice, flying and falling objects, etc.) are loaded onto the screen, where the user is able to move and interact with the props as if they are real objects. He/she can also switch through the props and replace the background on a touch screen tablet or mobile phone. When the guest is ready, a memorable Augmented Reality photo can then be taken, printed, emailed, or shared via social media. Further features include: Quick and accurate detection of up to 6 users; Multi touch and gesture-based detection; The content is 100% customizable, depending on the customer’s needs; The AR photos can be emailed, posted, shared or printed.